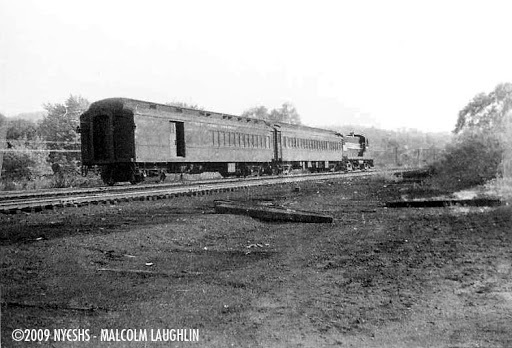 New York Central’s Putnam Division ran from a connection with the Hudson Division in The Bronx to a connection with the Harlem Division at Brewster, New York. 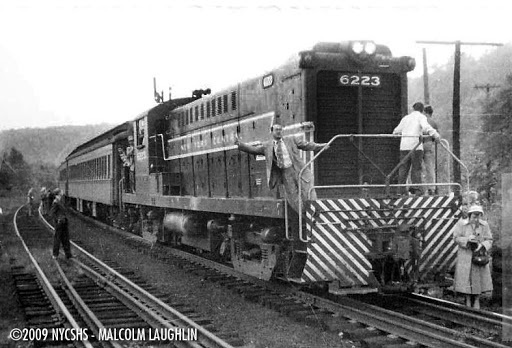 A little more than 50 miles end-to-end, the last passenger train over the line was in 1958. 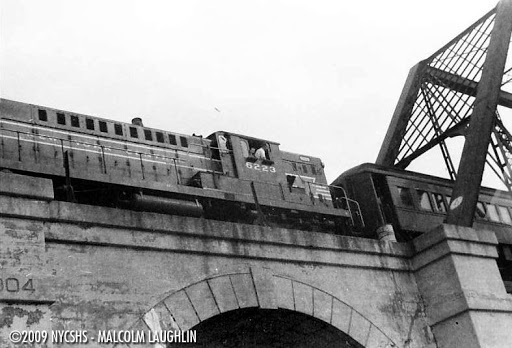 After a period of steady decline, the line was downgraded and abandoned until all service ended on the lower end in the late 1970s. 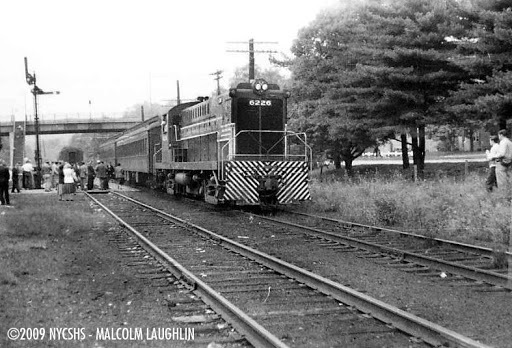 Today, the line survives as a popular walking train through Westchester and Putnam counties. 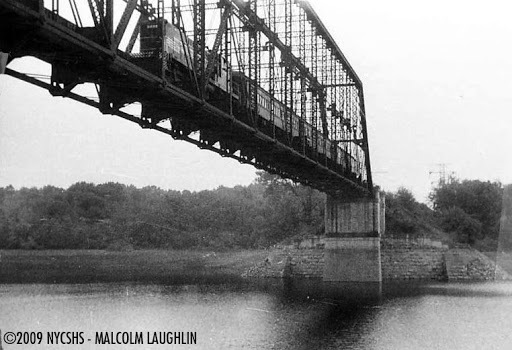 Malcolm Laughlin had the good fortune to attend a railfan trip over the Putnam Division in October 1954. 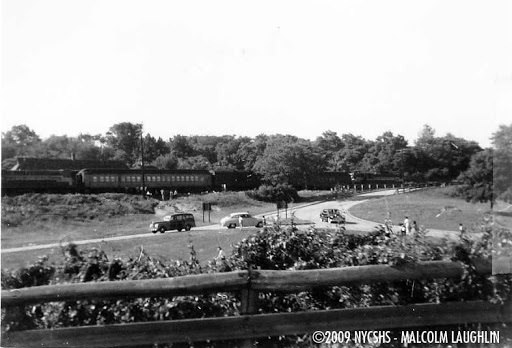 On the way to the special train, Malcolm photographed this meet at Dunwoodie station from the side of the Cross County Parkway. 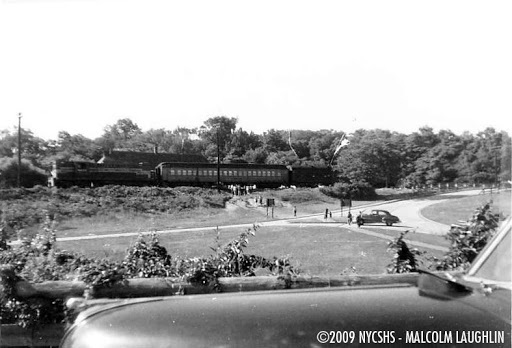 Note the rare round-roof coach as second car of southbound train. 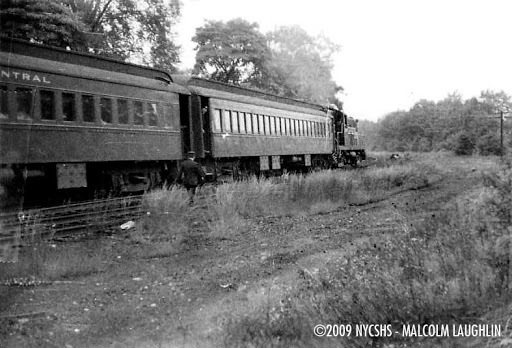 These Osgood-Bradley cars were found on the Putnam Division as well as the Boston & Albany. Another view of the trains at Dunwoodie from the Cross County Parkway. 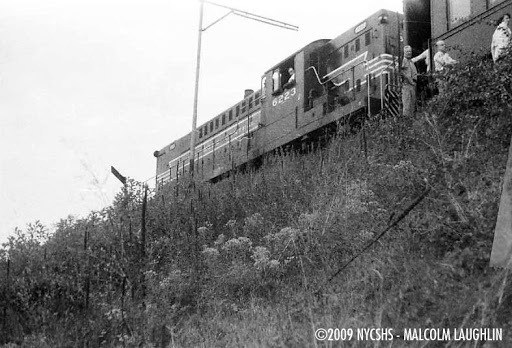 The fan trip special train rolls past for a photo run by. 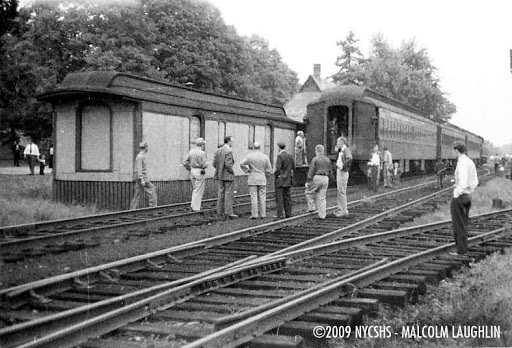 It appears our railfan special has paused at Millwood, New York. The distinctive freight house was created from a discarded New York & Northern baggage car. 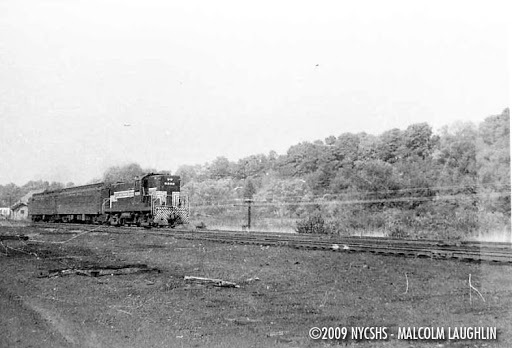 The New York & Northern was later acquired by the New York Central and became the Putnam Division. 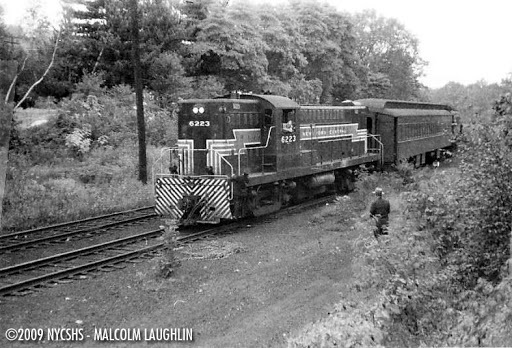 The Putnam Division was dieselized in 1951 with a fleet of distinctive Lima diesels. I hope that lady moves out of the guage soon! 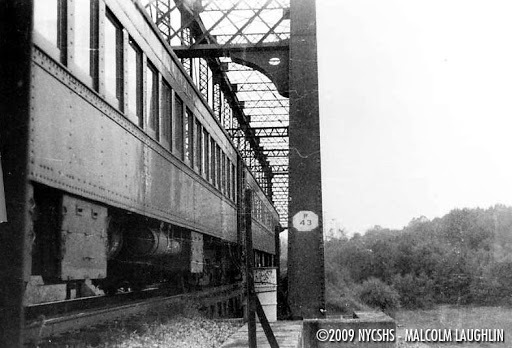 A photo run-by was conducted near Kitchawan station, running the train over the bridge spanning the Croton Reservoir. This bridge still stands today, carrying bicyclists and hikers only. A regularly scheduled train (possibly Train 129) rolls through Yorktown Heights. Possible Train 129 headed south from Yorktown Heights. 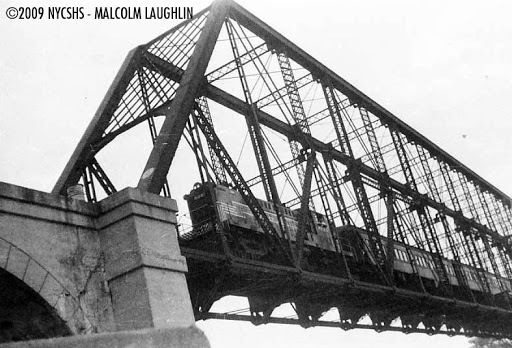 Baldwin diesels were also used on the Put, before being replaced by Alco road switchers.